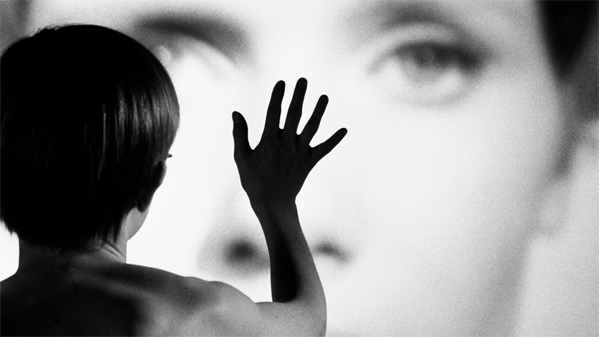 Celebrating 100 years of Ingmar Bergman's Cinema. Janus Films has debuted a trailer to celebrate their upcoming Ingmar Bergman Retrospective, which will be launching at the Film Forum in NYC next month. This is a big year for legendary Swedish filmmaker Ingmar Bergman, who would've been celebrating his 100th birthday on July 14th (he passed away in 2007). Janus is celebrating his life and work by showing almost all of his films in cinemas around the country, including his most famous features: The Seventh Seal, Fanny and Alexander, The Magic Flute, The Magician, Through a Glass Darkly, Wild Strawberries, and Winter Light. "Join Janus Films as they celebrate the centennial of Bergman's birth in 2018 with a traveling retrospective of his theatrical films, all newly restored and many never before available in DCP." So dive in. For more info, visit Janus Films. No name is more synonymous with the postwar explosion of art-house cinema than Ingmar Bergman, a master storyteller who startled the world with his stark intensity and naked pursuit of the most profound metaphysical and spiritual questions. In a career that spanned six decades, Bergman directed more than forty films in an astonishing array of tones, ranging from comedies whose lightness and complexity betray their brooding hearts to groundbreaking formal experiments and excruciatingly intimate explorations of family relationships. This special Ingmar Bergman Retrospective, celebrating the Swedish filmmaker's 100th birthday and his entire career, will launch at the Film Forum in New York City starting February 7th, before heading to other cinemas around the US this year. Who's in?